We're in the state of a civil war against DPJ. | Hey, you know what? 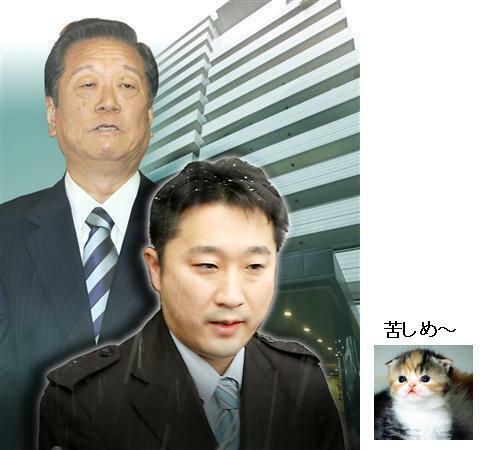 ホーム > スポンサー広告 > We're in the state of a civil war against DPJ.ホーム > Ozawa > We're in the state of a civil war against DPJ. We're in the state of a civil war against DPJ. 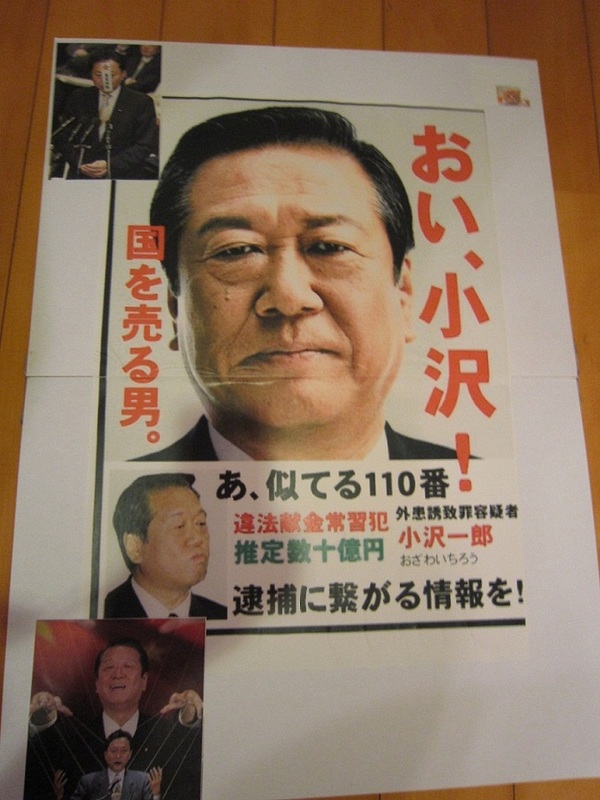 This man, Ichiro Ozawa who happens to be a secretary- general of DPJ is involved in a lot of scandals. His past scandals are mainly bribery money cases and the most of them were wiped away by saying the illegal accounting were made by his secretary and he got away from the prosecutions. But now his sneaky ways to hide his bribery didn’t work as he expected. Tokyo Prosecutor’s Office has found over 4 billion yen related to Mr. Ozawa’s purchase of real-estate which is its money source is not clear. According to the law, any political money over 50,000 yen transactions must be declared to the political regulation office, but nothing was recorded at his fond management office, “Rikuzankai”. His three Ex- secretaries were arrested because they gave a false testimony regarding the bribery money. 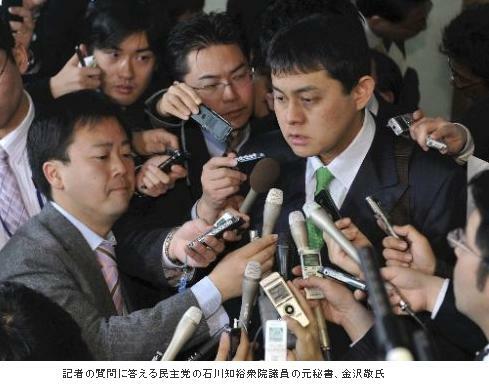 Among the secretary, Mr. Tomohiro Ishikawa has become an assembly member of DPJ but, his secretary Mr. Kanazawa said that he was ordered to discard any documental proves that are inconsistent regarding Mr. Ozawa’s bribery money. Therefore, Tokyo Prosecutor’s Office decided to ask Mr. Ozawa to explain the source of the money, but he refused to do so. Rather he has claimed that the Tokyo Prosecutor’s Office was intentionally accusing him because the election campaign of House of Councilors is coming in July. It seems that Mr. Ozawa and Mr. Ishikawa has a secret matters between them that they do not want to release to the public. This gentleman is Mr. Kanazawa who used to be a secretary of Mr. Ishikawa. He’s announced that he was ordered by Mr. Ishikawa to hide or discard any records regarding Mr. Ozawa’s unclear money transactions. 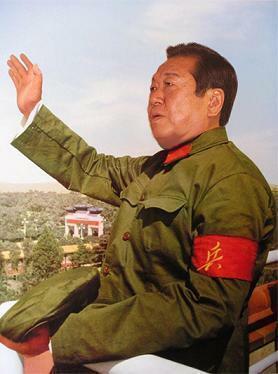 Mr. Ozawa once said in front of Chinese Chairman, Fu-Chin-Tao that he wanted to become a Supreme Commander of Chinese Military Force. Is he really Japanese?? I don’t think so. It’s known that his ancestor’s grave is in Saisyu-Island, Korea. Korean people in Japan. They are not Japanese politicians though they look like. 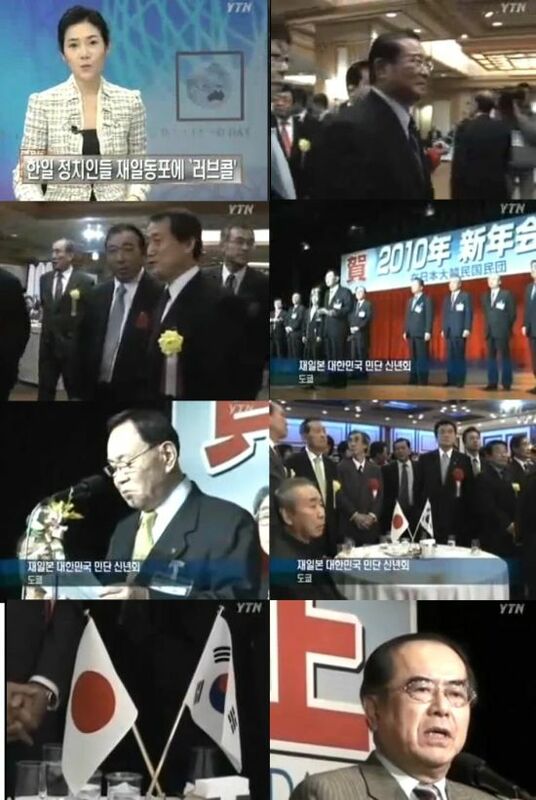 They’re not working for Japanese Government----they’re working for Korea and China. 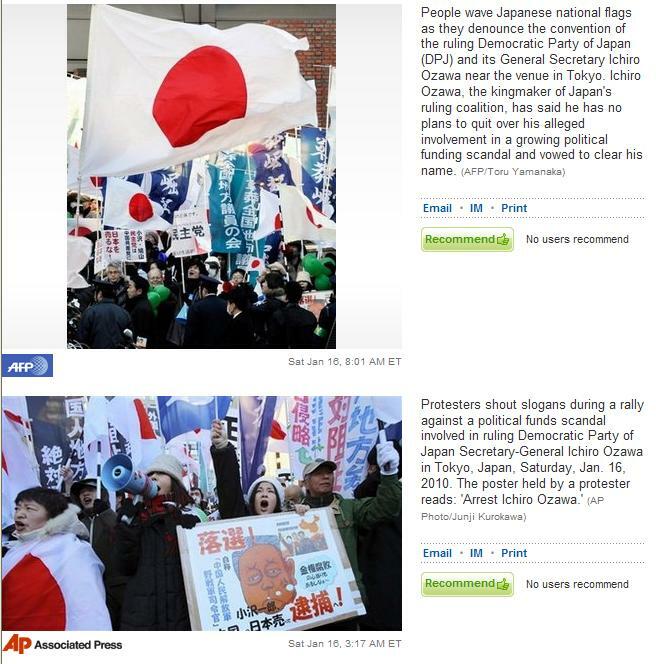 No wonder, the politics in Japan is becoming outrageous. After the World War 2, during the mix-up time,Japanese people were taught a fabricated history that Japanese invaded Korean Peninsula and China. But that was maneuver by GHQ (General Headquarters of coalition governments) and the communists. The Nanjing Genocide and Comfort Woman by Japanese military force were intentionally created fictions by China and Korea. The stories are all wrong and full of lies. The reasons why they did such stupid things are to keep looking down on Japanese. So that they thought that Japan would never become a powerful and prosperous again.And now, Japan has come back as a developed country. What Chinese and Koreans are trying to do is to invade Japan internally by giving foreigners a right to vote for local election and to conquest Japanese high technologies and the uncontaminated country’s territory itself.. 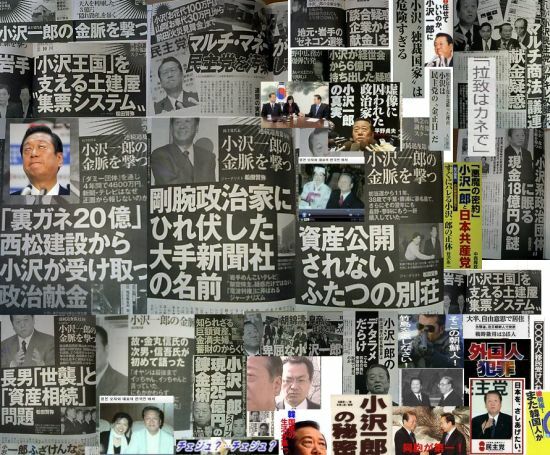 But many Japanese people have realized their dirty intension and are very angry, rather furious about their conducts. Magazines are also full of Mr.Ozawa's scandals. Yet, he insists he did nothing wrong.What a nerve he has!He said he would not leave his position. However, I think it is a matter of time that he would be expeled from the political society.